At Oakhill Veterinary Centre our vets see many species of animal but don’t expect to come across dinosaurs! Kodi, a 10 month old kitten presented with intermittent vomiting that had been going on for one week. 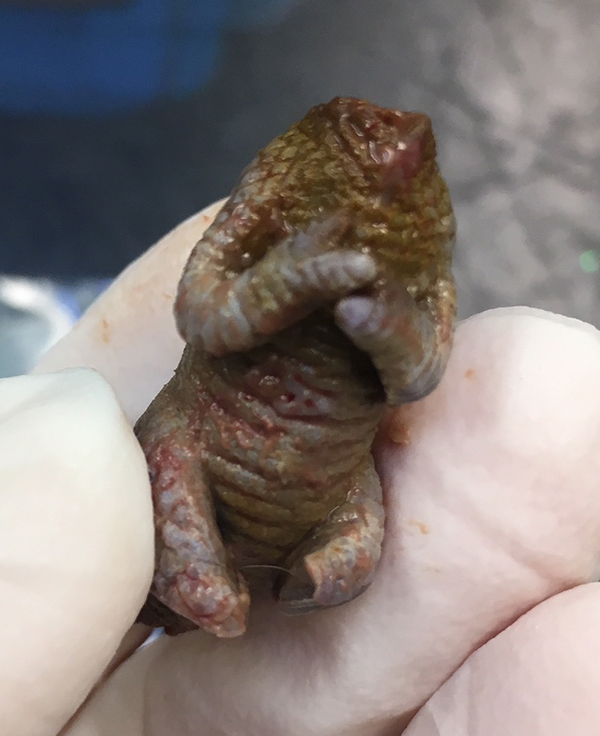 During his examination at our Watling Street Road branch, Oakhill Vet Ciara Callan could feel something abnormally firm and knobbly in his abdomen. Concerned that he may have eaten something that had become stuck Ciarra decided to sedate Kodi and take some X-rays. The xrays didn’t show a bony foreign body but while Kodi was sedated the vet could have a really good feel of his abdomen and could feel there was something very strange going on in there so decided to take Kodi to surgery. During surgery Ciara found that Kodi’s guts were inflamed and in his small intestine she found the culprit….. a dinosaur! Well the torso of what looks to be a toy T-Rex. The dinosaur was made of a soft rubber which is why it didn’t show up on the xray. If the dinosaur had been left Kodi wouldn’t have been able to eat and the results would have been catastrophic. Kodi is doing very well after surgery, although he doesn’t like resting and wants to go back to playing with his brother. Thank you to Kodi’s human mum for letting us share this story as warning to other cat parents to be careful with what their furbabies play with (although we have no idea where he found the dinosaur! ).